Each Insteon LED Bulb is fully remote controllable; everything from on and off to brightness and scheduling can be had. You can even control these bulbs with your smartphone when used with the Insteon Hub. 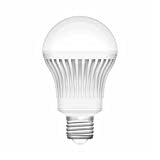 When it comes to illumination, time to brightness, and efficiency, nothing beats modern solid-state LED lighting; that's why we've chosen LED for our Insteon Bulbs. Flicker-free dimmable LED glory awaits you with Insteon LED Bulbs. We've designed these bulbs to dim from 1% to 100% for a full range of lighting moods. We know that not every light fixture is well suited for traditional A19-style light bulbs. That's why we've made both traditional A19 and a larger PAR38 for recessed lights. Replace an existing light switch with KeypadLinc to remotely control lights and appliances from a single wall switch location, all without running new wires. The KeypadLinc has a built-in 600-watt dimmer that is controlled by the two large buttons. The 4 smaller buttons can be linked wirelessly to control other lights or appliances in other parts of the house. All buttons feature backlit status LEDs so you can see at a glance which lights have been left on (or off). Imagine turning your master bedroom light switch into a control station where, as you are going to bed, you can see that the kids left their bathroom light on and turn it off, check the status of the garage door, dim down the plug-in lamps on either side of your bed or create an "Goodnight" scene that turns off key lights throughout your home. Install one by your front door and if you forgot to turn off your bedroom light on your way out in the morning, you could simply press the corresponding keypad button to turn it off without having to run all the way back to the bedroom. The keypad installs like a traditional wall switch with the exception of connecting to neutral wires (typically 2 or more capped white wires found in the back of a switch box) and communicates to other devices in the home using a technology called INSTEON. This wireless technology uses the homes existing wires to transfer commands to and from other INSTEON-compatible devices such as plug-in modules, wall switches, thermostats and even low-voltage control. Check out the full INSTEON-compatible product list for more devices. KeypadLinc Dimmer is also available in Ivory, Almond, Black, Brown, and Gray. Light up your smart home with Insteon LED Bulb: the first remotely controllable, fully dimmable networked light bulb on the market. With the innovative Insteon LED Bulb, you directly control the bulb itself-no need for plug-in modules or hardwired switches. This revolutionary LED bulb is the first of its kind to offer networked remote control. Now you can easily build your own home control system without having to ever replace a wall switch. Easily link to all Insteon controllers, including handheld remotes, wall keypads or even the Insteon Hub, which turns your smartphone or tablet into a fully functioning remote control for not only the Insteon LED Bulb, but your entire home network (via the free iOS/Android Insteon app). Featuring Insteon's patented dual-band technology, wirelessly controlling your lights has never been more accessible or economical. Simply put your chosen Insteon controller into linking mode, screw Insteon LED Bulb into a light socket and the two are instantly linked. 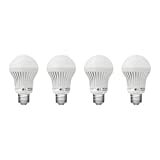 Installing the Insteon LED Bulb is as easy as 1-2-3. 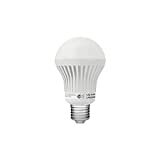 Use home management software (such as HouseLinc) to customize Insteon LED Bulb's settings. Adjust its brightness levels and ramp rates, link it to additional controllers and add it to multi-device scenes. Note: 1. 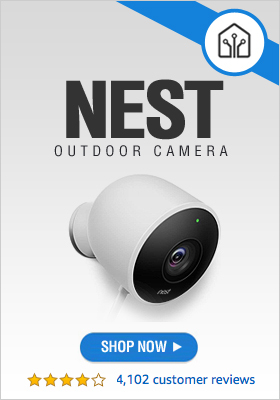 The Insteon bulbs may be too far away from the Hub. Try moving the bulb closer to the Hub. If that works but you still need to operate it at the further distance, add a range extender (#2443) between the Hub and the bulb. 2. Do not use the Insteon bulb with a lamp or wall switch that has a dimmer. Also, it is not compatible with lamps that are designed for 3-way bulbs. Our bulbs, as with many other ?smart? bulbs, are not designed to be connected to a dimmer. This would impair the bulbs ability to listen and respond to Insteon signals. Even if the dimmer is at its highest level, it would still impair signaling. Fill your entire home with personalized mood lighting for any occasion. The INSTEON KeypadLinc Dimmer is more than a 600-watt local dimmer. You can use this 6-button controller to monitor and control six different devices or sets of devices in and around your home. You can even use KeypadLinc as a central monitoring and controlling device: Install one by your front door and link up to six individual lights or groups of lights, and you'll be able to see the on/off status of each light by looking at the keypad. If you forgot to turn off your bedroom light on your way out in the morning, you could simply press the corresponding keypad button to turn it off without having to run all the way back to the bedroom.